Spring is always a refreshing season. Families are excited for their vacation and students are getting ready to let loose and forget about school for a week. In Cabo, we wait with excitement for our spring visitors to bring their happy "vacationmode" energy. Destino Magazine's purpose is for you to have the best vacation experience possible, so in this issue we have shared ideas and activities for a fun Spring Break. There is so much to do and see in Cabo and you can surely find an activity for any type of traveler. March is still a great month for whale watching. It's not that difficult to spot one from the shore this time of year, but taking a tour is always your best bet. I wish you a perfect and much deserved break. Enjoy our beautiful beaches, taste our delicious food, meet our wonderful people and drink our refreshing margaritas Within the pages of Destino Los Cabos you can find useful information to make the most of your vacation. Our goal is for you to have the best possible experience in Los Cabos. 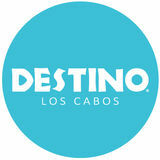 Don't forget that you can find all of our useful information online at: www.DestinoLosCabos.com. Enjoy! (011 52) (624) 142-4949/105-9700 Carretera Federal Libre Transpeninsular San José-San Lucas. Km. 4.3, Local 6, Col. El Tezal, Cabo San Lucas, Baja California Sur. Los Cabos (or “the capes” in Spanish) is located on the southernmost tip of the State of Baja California Sur and consists of four main areas: Cabo San Lucas, San José del Cabo, Todos Santos and the East Cape. La Paz is the State Capital. If you take a look at our Baja Sur map, you can see that the highways and towns form a loop. The Pacific Ocean and the Sea of Cortez meet at the very tip of the peninsula. It's very clear when you're on the Pacific side; the waves are much larger and powerful and the winds are stronger. If you go further north along the Pacific side the climate and beaches are very different than on the Sea of Cortez side. It's usually a few degrees cooler, which is very pleasant during the warm summer months. The mountains meet the desert and the desert meets the ocean. The Sierra de la Laguna is a mountain range that lies at the southern end of the peninsula. Above 800 meters in elevation dry forests transition to pineoak forests. The main climate of the region is arid to semi-arid; however, there are farming areas where the soil is wet, especially on the Pacific side of the Peninsula. is how Jacques Cousteau described the Sea of Cortez. It is said that eons ago, back when the Earth and Continents were still taking their shape, the edge of Mexico split from the mainland to form the Gulf of California and the Baja Peninsula. This allowed the Pacific Ocean to rush into the gap and create the Sea of Cortez, or as some call it, Mother Nature’s own fish trap. Hundreds of varieties of fish and mammals found their way into this "trap" and either stayed in the warm shallow waters or ventured down into the cool two mile-deep San Andreas Fault. For millenniums, the Colorado River has been dragging its rich minerals and nutrients into the Sea of Cortez, aiding the living species to thrive in these waters. In the months of January through March, Gray whales make their yearly migration from Alaska to give birth to their young in the shallow and warm waters of the Sea of Cortez. Ready to explore? This tourist friendly town, also just known as “Cabo,” is located on the tip of the Baja California peninsula and is full of entertainment for every age and liking. The Sea of Cortez and the Pacific Ocean meet at Land’s End, where you can observe the beautiful rock formations and the famous Cabo Arch. In Cabo San Lucas you can find Medano Beach (the liveliest beach in the Los Cabos area), an impressive marina and countless restaurants and bars that keep the town alive day and night. Walking around downtown San José will allow you to experience a traditional Mexican town. You will find yourself surrounded by colorful buildings and quaint cobblestone streets that lead to the town’s picturesque zócalo (main plaza). Over the years, San José has become an artistic and cultural centre with numerous fine art galleries in its downtown art district as well as world-class restaurants. San José has a beautiful beach where you can take a horseback ride to explore the estuary that is home to many different bird species. The corridor is the 40 km highway that connects Cabo San Lucas and San José del Cabo (about a 20 minute drive). Along this highway you can find various hotels, luxury ocean front homes, and championship golf courses. Have your camera ready and make a roadside stop at the Costa Azul view-point for photo opportunities and a refreshing coco frío (cold coconut). Located on the Pacific Ocean side of the peninsula, Todos Santos is an oasis where artists and surfers flock to enjoy the culture and excellent surf. Home to the famous Hotel California, this charming town offers great restaurants and a cooler climate than Cabo San Lucas and San José del Cabo due to the breezes coming from the Pacific. People often call it “the old Cabo” because of its pristine beaches and small fishing towns such as Buena Vista and Los Barriles. The East Cape begins just east of San José and extends about 100 miles up the Sea of Cortez coast. Sixty miles outside of San José is the Cabo Pulmo National Marine Park, Nationally Protected coral reef that offers outstanding snorkeling and scuba diving. Very popular for fishing and surfing, the East Cape also attracts kite surfers, campers and those who just want to get away from it all. La Paz is the capital of the state of Baja California Sur and is known for its warm people and beautiful beaches. This authentic Mexican city (as well as the general south Baja region) has been rated as one of the safest in Mexico and still maintains the small town feel that is very welcoming for tourists. La Paz is a departure point for tours and charters to the stunning Espiritu Santo Island as well as whale watching excursions. Stroll down the colorful malecón (boardwalk), walk hundreds of feet in waisthighwater at Balandra beach or have a fine dining experience; La Paz has a lot to offer. Loreto offers the best of both worlds for tourists who long to escape to an 'authentic-Mexico' with settings that take you back-in-time along with ocean activities that rival that of any other modern coastal city. In Loreto you'll find historic buildings such as the enchanting Mision de Loreto - a mission-style church that was built in 1697 as well as The Islands of Loreto which boasts Mexico's largest marine preserve where dolphins, seals, turtles and sea lions all play in the sea. For those who are partial to adventures on land; there is hiking, biking, and nature-tours that fill up a camera with pictures of radiant natural settings. Loreto is the perfect place for everyone from honeymooners to large families. The easiest way to get pesos is to simply withdraw money from an ATM in Los Cabos. Bank ATMs give the daily exchange rate (best possible rate). Examples include Banorte, Bancomer, Santander, Banamex, Banregio, and HSBC. Non-bank ATMs located in the streets or marina will charge higher fees. Some ATMs only give you dollars, some only pesos and some give you the option to withdraw both. Pay close attention to what currency you’re withdrawing and try to get as much cash as possible in one transaction to avoid paying high fees. Dollars are accepted almost everywhere but you will usually get your change back in pesos. The exchange rate varies every day, but some places have a set rate posted. Visa, Mastercard and American Express credit cards are generally accepted, but you often run into cash only establishments. Always ask beforehand and carry cash just in case. Keep in mind your bank will most likely charge you international transaction fees if you pay with your card. In Cabo San Lucas, Walmart and Costco are good options and easy to get to. You can always find a taxi outside of these stores. San José has a Walmart, La Comer, Chedraui Selecto or Soriana. Mercado Santa Carmelo or California Ranch Market are good options for specialty foods and dietary restrictions. If you need a quick grab, OXXO stores are reasonably priced convenience stores located all over town. With calm waters, extraordinary fishing and perfect weather, some may argue that boating is the most popular attraction in Los Cabos. Whether you want to take a cruise to Santa Maria Bay on a luxury yacht or wake up at the crack of dawn for a fishing adventure, there are endless options to fit your needs. the area with 200 available slips for boats up to 400 feet. Amenities are similar to Marina Cabo San Lucas, though the boatyard’s 150-ton travel lift can accommodate larger vessels. FISHING There’s a reason why the world’s richest fishing tournament - the Bisbee’s Black & Blue - has taken place in Los Cabos for over thirty years. This part of the world offers abundant sea life and an exceptionally high catch success rate, no matter what your level of fishing experience is. What to Expect Most charters include a fishing license, bait, tackle and equipment. Some also include food and drink or these amenities can be added at an additional cost. It is better to leave early; trips usually begin at 6:00 and 7:00 am and last around 6 hours. Cost will depend on the number of people in your party and the size of the boat you choose to rent. It is customary to leave the crew a gratuity of 15% to 20%. Bait and Tackle Most likely, the boat you charter will include your bait and tackle. If you need your own fresh bait, you may buy it along the Cabo San Lucas Marina or the crew you hire may also stop to buy it from the local fishermen on your way out. Prepare yourself for an incredible show of nature as you swim side by side with colorful schools of fish, eels, rays, octopus, sea turtles and more. The Sea of Cortez or the “Aquarium of the World” offers many opportunities to experience incredible underwater wildlife. SNORKELING SPOTS Cabo offers several methods for snorkeling. You may drive to a local beach and swim out, book a tour with one of the many popular companies, or charter a private boat. Tours are typically two or three hours. Stay away from the Pacific side of the peninsula; its strong currents make it very dangerous for any kind of water sports. Pelican Rock A quick five-minute ride from the Cabo San Lucas marina or Medano Beach is all it takes to get to this fishattracting rock. This popular and uniquely-named beach is accessible only by boat. Be on the look-out, however, as the water is not roped off for swimmers. Santa Maria Bay Snorkel tours regularly visit Santa Maria Bay. If you choose to drive there, it’s an easy swim from the shore to the reef on the right side of the cove. Chileno Bay Snorkelers will find a safe, roped-off area for swimming at this common tour destination. Cabo Pulmo A Natural Marine Reserve in the East Cape, and may offer the best snorkeling in the area. This eightfingered coral reef is about a 1.5hour drive from San José del Cabo, but it is well worth it! There is something special about paddling out and finding yourself floating in the ocean with just a paddle and a board. Stand up paddling is a great way to see marine life and to get a great workout while enjoying nature. At Medano Beach you can rent boards in several locations. Certain companies offer paddling lessons and some have yoga classes on the board. This sport is most popular in the East Cape due to the El Norte winds. Playa Norte (the north-east side of the beach) in Los Barriles is said to be the most popular destination and is also the location for a professional kite-boarding school. La Ventana is also a popular spot and is closer to La Paz. There is less wind in Los Barriles than in La Ventana, but the surf is bigger. The best months are January, February, March, October, November, December. Every January, the Lord of the Wind tournament takes place in Los Barriles. Have you ever had a dream about flying like Superman or maybe swimming like a dolphin? Dreams can come true in Cabo! The FlyBoard is a device connected and powered by a personal watercraft, which allows propulsion underwater and in the air. Users are connected to the board by wakeboard boots, under which, water pressure provides thrust. A certified trainer controls the power and height and you control all the movement. Available at Medano Beach or in the Puerto Los Cabos Marina in San José del Cabo. Adventure Parks There are several adventure parks in Los Cabos where you and your kids can experience zip-lining, back-country UTV and ATV tours, a camel safari, and more. Zip-lines are appropriate for kids of 8 years and up and be prepared to hike from 5 to 15 minutes from line to line. Most companies include transportation. Jet Skis, Parasailing, Banana Boats and more Go to Medano Beach for a day full of fun water activities. There are numerous options along the beach, such as jet skis, banana boat cruises, aquatic bikes, SUP rentals, and more! Or try a parasailing trip and gain some altitude to enjoy beautiful views of Cabo while tethered firmly to a speedboat! Water Parks Wild Canyon Adventures has recently opened its brand new water park section, which you can access with your park day pass, a perfect way to spend a full day of fun family activities. Wild Wet Fun Water Park, located about 30 minutes from San José del Cabo, has shallow pools and small slides for young children, water mushrooms and a pirate ship. For the adrenaline seekers, several fast and large slides stand tall and mighty and offer a great view of the beautiful surrounding mountains. To get there take HWY 1 north from the San José International Airport towards La Paz and East Cape. After about 15 miles, the exit for Caudaño and the water park will be at KM 66. Follow this road for a few minutes and you will find the park on your right. Turtle Releases Every year, from June through December several species of endangered sea turtles nest in the warm sands of Los Cabos. Your family will have the opportunity to help these fragile and tiny creatures make it safely into the sea. Children will learn about the importance of conservation and they will surely enjoy the experience of helping these little friends. Sol de Mayo Waterfall Located about an hour and a half away from Los Cabos, the Sol de Mayo Oasis is yet another natural beauty of the Southern Baja California region. The hike leads the adventurous to a majestically beautiful oasis where everyone can swim and even dive into the cool, serene waters. Be sure to pack a lunch, and take plenty of water. There are plenty of signs to guide everyone to this wonderful piece of paradise. After arriving in Santiago, turn right up the little hill towards the town square. The cost is $6 US per person to access the easy hike to the clear-water falls. June through November: The summer months are known to be the best as the Southern Hemisphere’s swells send great waves to the Pacific, Cabo San Lucas, San José and the East Cape. December through February: East Cape and Costa Azul are on the flatter side. The Pacific can be good this time of year because it’s exposed to the west swell. March through May: This is the windy season. Swells are consistent and you’ll run into fewer crowds. DISCOVER So instead of an over two-hour run up the coast, it’s out of the Marina, around the corner and 30-minutes later you may be hooked-up to a wahoo! Fidelity for the feeding ground - Seen 18 times in the feeding ground of Monterrey (California) and first time in Cabo San Lucas. Reported with calf in 2017 - 2018. Cabo Trek on December 2018 and two seasons ago in Puerto Vallarta (January 2017). Imagine floating in a turquoise bay with coral colored sand, snorkeling with colorful fish or walking for hundreds of yards in waist-high water, every beach in Southern Baja offers something unique. Here is a list of the "must sea" beaches to help you decide which is the one for you or just visit them all! Lovers Beach Getting there is an adventure in itself, since it is reachable only by boat, kayak or any other water vessel. The easiest way to get there is to take a water taxi from the Cabo San Lucas Marina or Medano Beach. Your captain will cruise by the arch and the sea lion rock for some great photo opportunities. Walk to the other side of the rocks and you’ll find yourself looking at the Pacific Ocean (Divorce Beach). This side is very dangerous for swimming, so swim on Lover’s Beach side only. Location: Land’s End beside the famous arch. Tips: On occasion there are a few vendors who offer beer and water, but you won’t find any other services. Medano If you’re looking for the action, this is where it is. El Médano (as the locals call it) is a 2-mile stretch of hotels, restaurants and bars, right on the sand. It’s a swimmable and familyfriendly beach with endless options for souvenir shopping. Numerous activities and water sports are available. If you want to take a water taxi to Lover’s Beach, this is the best spot to do it. Its stunning view of Land’s End and the vast entertainment options make this beach a must-see. Location: In the heart of downtown Cabo San Lucas. The beach is accessible by foot through the east side of the marina or via Avenida del Pescador. Tips: Be prepared to be approached by a lot of souvenir vendors. If you’re not there for the shopping, just respond with “No gracias.” Water sports are available such as jet skis, parasailing, flyboarding, stand up paddle boarding, kayaking, and more. Visit Lover’s Beach while you’re there. Chileno Chileno Beach is a very popular location for snorkeling and swimming due to its calm waters. You’ll find tide pools at the left end of the beach and beautiful reefs offering excellent snorkeling and scuba diving. Public restrooms and showers are available, as well as a handicap ramp that takes you right to the beach. Location: Going from Cabo San Lucas towards San José, follow the signs for Chileno Beach Club near KM 14 of the main highway. Tips: Snorkeling visibility is often better in the early mornings and you’ll avoid the mid-day snorkel tours. Bring snorkeling gear! Santa Maria Santa Maria is a stunning horseshoe cove with coarse coral colored sand and abundant marine life. Boat excursions and private charters often stop here to enjoy the snorkeling and scuba diving that this National Marine Preserve offers. This family-friendly beach is relatively secluded; therefore, you rarely run into beach vendors. However, the beach does have brand new bathrooms and palapas. Location: Traveling west from Cabo San Lucas towards San José, follow the sign which reads “Santa María” and exit the highway at Km. 13. Follow the dirt road until you reach the parking area. Tips: Swim from the shore towards the rocks on the right side of the beach for a great snorkeling experience. Palmilla Palmilla Beach is known for its family friendly calm waters and a mile-long stretch of beach. Located within the resort community of Palmilla, you will find yourself surrounded by oceanfront luxury homes and the One&Only Hotel. Pangas and fishing cruisers are available for charter, but you won’t find water sport rentals such as kayaks or jet skis. Location: Take the Palmilla ramp exit at KM 27. Follow the signs and turn into the main beach parking area before the entrance to the One&Only Hotel. Tips: Palmilla is popular among local families on the weekends, so arrive early if you want a palapa, or bring your own umbrella. No services are available here. Balandra A stunning bay in La Paz (the State's Capital) that will take your breath away. You can walk back and forth in the bay in waist-high water that is crystal clear. Follow the shore towards the north-east side and you will find the famous “mushroom rock.” You won’t regret visiting Playa Balandra! Location: A two hour drive from Cabo San Lucas. Once you're in La Paz, follow the main drag along the boardwalk, pass Costa Baja Resort and continue to wind around the coast and through the mountains until you see the signs for the beach. Tips: No bathroom facilities. There is a truck where you can buy water and snacks, but it is recommended to bring your own in case they are closed. Cerritos Cerritos Beach is a popular surf spot and swimming here is relatively safe. The scenic 45 minute drive from Cabo San Lucas is well worth the trip as you drive along the pristine Pacific coast. You can rent a boogie board or surf board or even take a surf lesson. Location: Exit at KM 66 of the Cabo San Lucas to Todos Santos Highway. Watch the markers and look for the signs. Tips: Come prepared with food, drinks and beach gear. The ocean currents are strong and the waves can be quite powerful, so swim with caution. 3⁄4 of the way up the West coast highway to Todos Santos from Cabo San Lucas sits Pescadero. A tiny town with huge culinary influences from across the globe. Farm- to-table, luxury acclaimed Baja-grown coffee & organic markets; this pueblito is always a great stop on your way to La Paz. Our trip took us directly into the heart of the town where we found Carlito’s Place, an Asian-inspired seafood bar that is serving oriental favorites to all inhabitants and visitors of the Baja Sur. Since 2008, Carlito himself has been manning the kitchen and grooming his staff to be one of the top competitors in Asian cuisine. His wife, the lead hostess, manages the restaurant as he husband inspires the food. From raw fish & seafood to salt duck, the options on the menu will have alternatives for everyone and their vegetarian friends. Outdoor seating for approximately 50 people leaves for a quaint atmosphere as you are greeted by Taco & King Kong, the resident pups that tower at about 10 inches tall. The seating area has a 360 degree view of the bar, sushi preparation area, and the professional-grade kitchen that Carlito calls home. Uni, commonly known as Sea Urchin, is an oriental delicacy that is either A+ or D-, with very little fluctuation. This being said, Carlito proudly announced to the table upon arrival that Uni was on the special menu that evening. Laid across a raw oyster, the Sea Urchin was flawlessly cleaned and was a great pre-cursor to the meal we had planned. Curried vegetables and the Fried rice special, consisting of chicken, steak, shrimp and Chinese sausage hit the table first. The spice of the vegetables, mixed with the blending flavors of protein laced within the rice was a combo that will cause my return in the near future. The passionfruit and mango margaritas, served in a cactus-esque glass, remind you that your still in Mexico as you enjoy wonton soup that could be sold in any Chinatown across the US and Canada alike. With nothing but great things to say about the establishment, the food is worth the drive. Directional signs and ocean views are you only landmarks while making this trek; we certainly recommend a rental car for tourists looking to explore what the west coast has to offer. None of the restaurants reviewed are ever aware that Destino is attending for research purposes; the results are completely at the mercy of the staff when reviews are collected. Carlito’s Place, like the rest of our local joints, did not disappoint & clearly showed why it has won a TripAdvisor Certificate of Excellence. Find out more on Facebook @carlitosplaceinpescadero! We here at Destino want to remind you that good food is best shared with great company; happy eating! ¿TU NEGOCIO ESTA ENFOCADO A LOCALES MÁS QUE A TURISTAS? IS YOUR BUSINESS GEARED TOWARDS LOCALS MORE THAN TOURISTS? ¡Anúnciate en esta nueva sección de Destino Los Cabos! Advertise in this new section of Destino Los Cabos! ey! Spring Break is here! And if you are reading this, it means you made the right decision because you are here in Los Cabos for some great partying. We all know how popular Cabo San Lucas is for partying and about its reputation worldwide with legendary clubs like Cabo Wabo and so many more. But in this issue, I would like to share a different side of Cabo and tell you all I know about the electronic music scene here. I’ve been DJing since I was young and like most everyone, music has always been magic and medicine for me. I immediately fell in love with electronic beats when I heard them in ’80s pop songs and from groups like Depeche Mode, New Order, and Kraftwerk, and even by Queen's Another One Bites the Dust's kick drum. And then when I went to Europe with my cousin in the ’90s I got captivated by the electronic music scene and music, especially in London and Barcelona, and Greece’s Super Paradise Beach in Mykonos. When I came back it was all I wanted to listen and dance to. And then in 1996 on a wild trip to Miami Beach I bought some vinyl records at Uncle Sam’s Musicafe, came back to Mexico City and played them on my ’80s Technics 1200s turntables. The electronic music scene back then in Mexico City had some awesome bars and clubs and they were always a savior in my search for underground music like house and techno. Then I arrived to live in Cabo in 1999 and my search for beats began here. I was lucky to find some great places like Blue Room and Aqua Lounge where I had my first residency. Then through the years many wonderful electronic music parties happened in Cabo at many spots like Nikki Beach, Passion Club, Bodyshot, Red Bar, Skyline, El Moro, Mayan Lounge, Freeboard and numerous others. We have had many great festivals, parties and events like Apparitions, AWOL, Cabo Music Fest, Electro Fest, Playa Magica, Desierto Magico, Luna Fest, the memorable Mandarina Fest, and many more too. Also, for many years, very fun outdoor parties like Magik’s famous Full Moon parties and other open air parties like Elevation and Resonance, which I am proud to have produced, have taken place in the amazing beaches, arroyos and mountains of Cabo. Alex Navarro is a regular Destino Magazine contributor and a long-time Los Cabos resident. He will be DJing this month at Molly VIP, Mixology Fusion Bar, Cachet Beach Club's Sunday Funkday and T3CHNOTIKA's Moon Rituals party at Mayan Monkey Hostel. Check out his mixes at Soundcloud.com/alexgrooveaudio or follow him on Instagram @navarrogrooves and Facebook @alexnavarrogrooves. From musical concerts, to brand new residential resort communities, to restaurant and hotel Grand Openings, Cabo always has something fresh and exciting to see, eat, and experience! GRAND REOPENING OF SIMPLY DIVINE CABO In the short time since they’ve been open, Simply Divine Cabo has made a name for themselves in Cabo home décor and more. On February 2, Simply Divine celebrated a Grand Reopening in their new location next to My Way Too furniture store, just before Santa Carmela Market on the Cabo corridor. Simply Divine carries a large selection of unique beachy items, home accessories, women’s clothing and jewelry, holiday decorations, and high end indoor faux plants with a wide array of pots to choose from. They also offer home and business decorating services along with custom flower arrangements, wreaths, garlands and centerpieces that will never wilt during hot Cabo summers. The new storefront gives them better visibility, more storage, a larger work space, and ample parking for shoppers. Baja California Sur’s capital city of La Paz pulls out all the stops for their annual Carnaval celebration. This year the theme is “Grandes Navegantes” or “Great Navigators.” As the largest Carnival festival on the Baja peninsula, this familyfriendly Mardi Gras themed event includes elaborate costumes, food, games, and cultural events along with extravagant parades with floats during the last three nights of the event. Visit Carnaval La Paz BCS on Facebook for more info! Girls That Scuba and Dive Ninja Expeditions present the second edition all girls scuba dive in Cabo San Lucas. Only 40 spots are available for this fun-filled day of diving, whale watching, inspiring presentations, female empowerment, activities, raffle prizes, an evening social and more on March 2. Team Ninja worked with Sarah Richard, founder of Girls That Scuba, to put together another incredible dive day in sunny Cabo. Visit www.GirlsThatScuba.com to sign up! Join Sancho’s for one of their biggest and best parties of the year! Their Fat Tuesday/Mardi Gras party starts at 11am on Tuesday, March 5 and is all about excess and celebrating with friends! So, pull out your masks, beads, sequins, and purple, green and gold and indulge in all the flavors of Mardi Gras! Food and drink specials include Chicken and Sausage Gumbo, Crawfish and Shrimp Etouffee, King Cake and Abita beer. There will also be zydeco music and videos, limited edition Sancho’s Mardi Gras shirts, and a whole lot of beads!! Contact 624-143-8089 or info@sanchoscabo.com. 2019 hYDROFOIL PRO TOUR MEXICO If you’re a fan of kiteboarding, you won’t want to miss the start of an amazing 2019 tour with the annual Hydrofoil Pro Tour event in La Ventana, hosted by Boards Unlimited. $10,000USD in cash prizes are up for grabs for competitors with races days on March 12-16. The entry fee is $250USD and registration ends March 9. For more info visit: HydroFoilProTour.com. Support Baja SAFE Humane Society of San José del Cabo at their 12th Anniversary Fundraiser titled “A Night in Baja.” This street food and music experience takes place on Thursday, March 7 in the magical Mango Grove at Flora Farms. There will be live music and a silent auction. VIP tickets are available for $150USD and general admission tickets are $75USD. Visit the Pez Gordo Gallery at The Shoppes at Palmilla for more information, or call (310) 728-6954. Celebrate International Women’s Day and empower women this year with 20+ local female chefs, pastry chefs, mixologists and bartenders preparing tasty cocktails, food and sweets! The female driven event will take place at Metate Cabo from 8pm to midnight on Friday, March 8. Guest chefs include Belen Cortez, Biqui Bufalo, Elena Sors, Estela Re, Jimena Sanchez, Leslie Tellez, Lola Oropez, Maria Fernanda Magaña, Miriam Jimenez, Nidia Sanchez, Sabrina Lopez, Susette Sanchez, Tamara Cookson and more along with Mixologists Danielle Tatarin and Vane Kombucha. Visit Metate Cabo or All Access Cabo on Facebook for more information! On March 12, join Herringbone Los Cabos as they venture through the vines of Northern California with Jackson Family Wines! For $1,200 MXN per person (approx. $64 USD), you'll enjoy a decadent 4-course dinner paired with handpicked selections from this innovative winery. Menu and wine pairings to come. Seatings are available at 7pm. To reserve a table or to learn more about the event, email RSVPloscabos@herringboneeats.com. Enjoy a variety of the best tacos and wonderful creations of Mexico at Villa del Palmar! Villa del Palmar is located on Cabo’s famous Medano Beach along with its sister properties Villa del Arco and Villa La Estancia. More information and schedule coming soon. Visit Villa del Palmar Beach Resort and Spa Cabo San Lucas on Facebook for event updates! On Saturday, March 16 from 5pm-10pm, rock out to Blues Fest La Paz at Marea Hotel. Participating bands include Outsiders LPZ, Brian Flynn Band, Ros Oberlyn, Blues Band MX, Deep Sensation, Ruben Barranco and Damiana Condo. The event will benefit MarLibre, a group of volunteers who do year-round talks about environmental education in La Paz schools and cleaning of reefs and mangroves every month. Visit Blues Fest La Paz on Facebook for more info! Remember The Fonz? Or Laverne & Shirley? Kick off your bobby socks, dust off your poodle skirts and leather jackets, and dance to the music of the 50’s and 60’s at Happy Days! This event is a benefit hosted by Library Director Donna Schultz for The Palapa Society’s Biblioteca Elena Poniatowska Community Library. The event takes place on March 14, 2019 from 7pm-10pm at Gallo Azul restaurant in Todos Santos. Tickets can be purchased at bit.ly/PalapaSockHop or in person at the El Tecolote Bookstore. Join Sancho’s on the Cabo San Lucas Marina for a very green St. Patrick’s Day celebration! Featured specials include GREEN TACOS & BEER, Irish Car Bombs, Guinness, Irish Coffee and 2x1 Tullamore Dew Shots. Don’t forget to make a reservation early and wear green so you don’t get pinched! Contact 624-143-8089 or info@sanchoscabo.com. The sixteenth edition of Festival de Cine Todos Santos (aka Todos Santos Film Festival) takes place on March 21-24. This year will feature various people from the world of cinema as well as screenings of an excellent selection of films. This year also includes a special “Deplastify” contest creating awareness about the damage of the excessive use of plastics, straws, bags, bottles, and polystyrene in our local community. Visit Festival Cine Todos Santos on Facebook or email FestivalDeCineTS@gmail.com for more info! Artisans throughout the region from El Triunfo, San Antonio, Los Planes, Los Divisaderos, El Sargento, La Ventana, Los Barriles, Buena Vista, and others will come together on March 24 from 10am-7pm in El Triunfo to exhibit their artistic offerings, regional crafts, and local foods for hundreds of tourists. Festival Artesanal El Trifuno is a free and family friendly event that helps Baja artisans promote their products and bring money back into the community. The L ‘Etape La Paz 2019 is a cycling race for fans who want to experience the professional cyclists of Le Tour de France. The event takes place on March 30 and 31 on the Malecón in La Paz. The L ‘Etape consists two family friendly cycling routes, a short route (20KM) and a long route (40K), and two more difficult completive routes of either 70KM or 125K. In the event village you will find a museum with historical photographs of the last 100 years of the Tour de France and many activities and surprises. For more information visit LaEtapaMexico.com. Gala de Danza recruits the most renowned dancers from across the globe to share the stage in Cabo San Lucas. The beautiful production created by Artistic Director and Founder Christina Lyon, transforms Viceroy Los Cabos into a global amphitheater with a wide array of musical and dance talents. Their website explains, “Gala de Danza is the heart of culture and art in Los Cabos, México. Since the summer of 2013, Gala de Danza has brought together artists from around the world to help enrich the lives of young dancers and the community. Dancers, choreographers and musicians from 20 different countries, have shared their talents in Los Cabos.” Tickets and VIP packages can be purchased at www. GalaDeDanza.com/tickets. Cachet Beach Club will host Chefs X Los Cabos 2019, an exciting gastronomic event on Saturday, April 6 from 7pm-10pm. The most recognized chefs in the region will come together for a cause, to help the community and share the skills they are most passionate about. Tickets are $950MXN per person and are available at Gymboree or Cabo Hats. For more information visit Chefs Por Los Cabos on Facebook. PLUS: Going Underground in Cabo - The Electronic Music Scene Where do the Locals Eat? March Events in Cabo!